Prestige's premium Fluoride Scissors has a Fluoride coating that provides a non-stick surface for cutting tape and bandages. 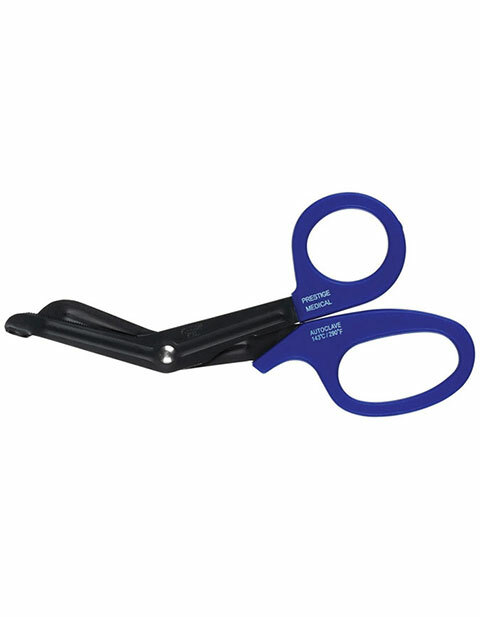 Milled shear serratins and is made of high quality 420 surgical grade stainless steel that can hold rough usage all day. It is autoclavable (143ºC / 290ºF). It's length is 7.5 inches. Ships in attractive box packaging and comes with a 5 Year Limited Warranty.